K. International School Tokyo (KIST) was founded in 1997 as a private, co-educational, non-denominational day school serving the international community of Tokyo from pre-kindergarten to Grade 12. Setup and configuration of the Moodle platform on a school-based hosting environment, allowing optimal performance on site. Bespoke training, to ensure all staff are confident and comfortable in the use of the new platform prior to launch. Once the blueprint was in place work began on building and configuring the new Moodle. With a tight deadline in place, we were able to utilise the summer holiday to complete much of the development and testing work to allow training to take place at the start of the new term. With the platform complete and teaching staff confident and comfortable using it, we launched the new Moodle to the whole school community. 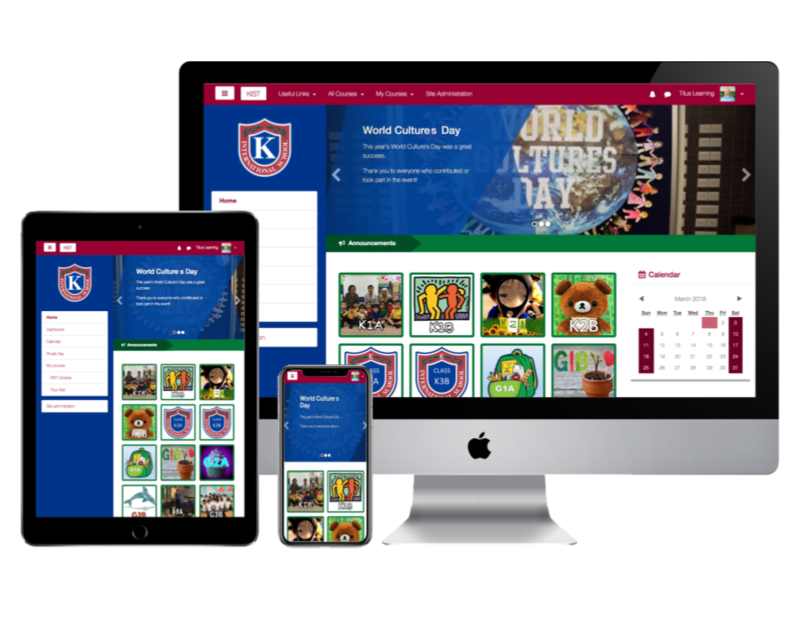 With the new platform launched and promoted to staff, students and parents, KIST have really hit the ground running, using Moodle extensively to foster better home-school links. As well as improving communication, the new Moodle has shown tangible benefits to the teaching staff, in terms of greater efficiency and reduced administrative workload. Since launch day Titus Learning has continued to work closely with the team at KIST to support and monitor the platform, as well as managing patches, infrastructure and upgrades as necessary. We’re delighted to see that KIST is keen to continue developing the platform and further embedding it into school life. We’re pleased to be supporting the whole KIST community in building a successful, motivated and engaged e-learning community, and we’re excited to see what the future holds. To learn more about the work we’ve done with Moodle, or to find out how we could help your organisation improve engagement, communication and learning outcomes, book a short online demo with one of our team.